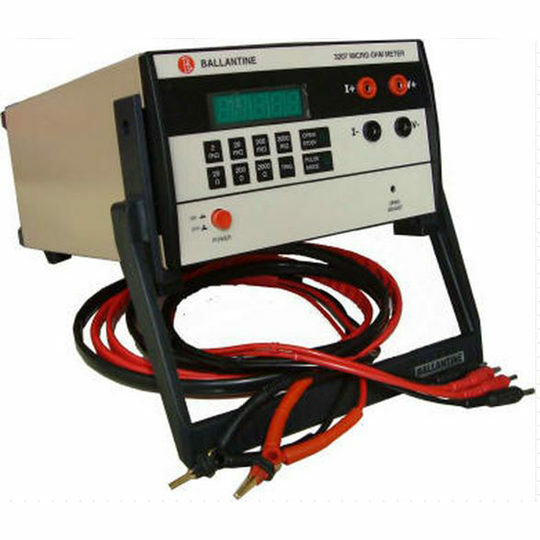 The BLI 1605B AC/DC Thermal Transfer Standard is a highly accurate true-rms multi-ranging ac measuring instrument. 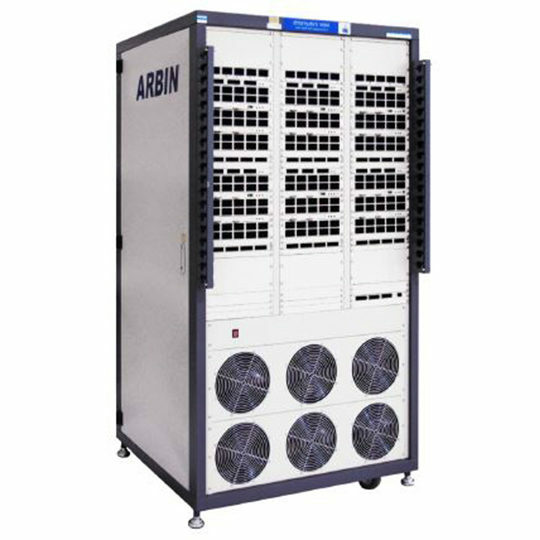 It serves as a laboratory standard against which to compare all precision ac instruments. 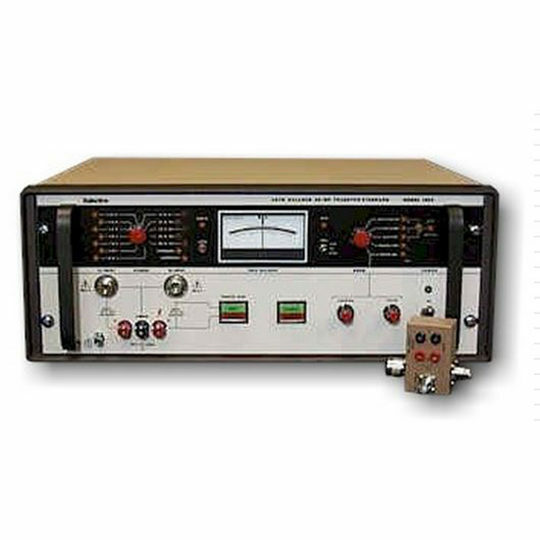 It can provide absolute transfer measurements to within 20 ppm to 20 kHz, and is the only transfer standard with a frequency range to 100MHz. Frequency Range: ±DC, 10 Hz to 100 MHz; usable from under 5 Hz to over 250 MHz. Crest Factor: 100:1 of full range; ±450 V pk max. on Low Voltage Input, ± 1500 V pk. max. on High Voltage input. Input Overload: Fully protected at all frequencies to 10 x range to 1100 V ±(dc + ac rms sinusoidal) applied continuously; overload puts unit in standby mode, which disconnects input signal from thermo-element until overload is removed. Input Isolation: Connectors may be floated ±25 V ref. to case ground. Manual Balance: Operator manually null balances the transfer standard in either the normal AC input to DC output mode or the inverse DC to AC transfer to permit setting input AC signal to a precise DC level. Manual Transfer: Balance is automatic in the AC input mode, but operator initiates transfer to DC output based on null meter reading. Auto-Recycle: Repeats transfer measurement cycle approximately 15 s after each output READ command: Auto-Recycle is an auto-zero mode, which avoids errors due to thermal drift. DC Output: Internally generated DC +0.225 to 1100 V (10 Megohms load) and averaged by external voltmeter for 10 seconds following the READ command; ripple and noise 95 dB below DC output amplitude or 100 mV, which ever is greater; maximum output current 2 mA. READ Command: Sent over IEEE-488 bus to trigger external voltmeter to read transferred DC output after transfer standard DC output has settled; front panel READ light indicates command. 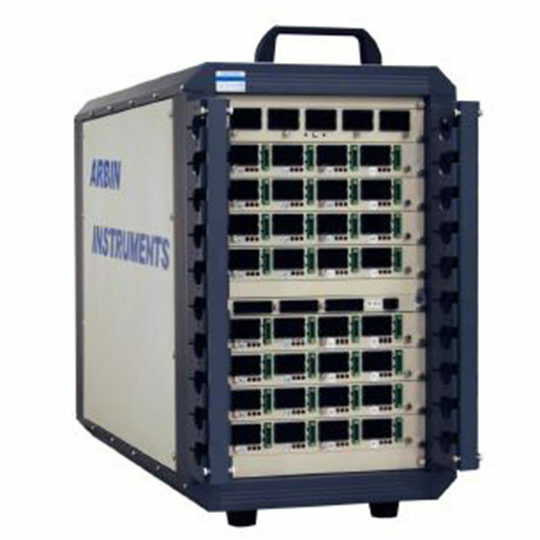 Bus Controls: Range (12), Balance Mode (5), Operate, Standby Recycle (3), Measure Input, Measure Output.Isolation: Opto-isolated from measuring circuits; bus digital ground connected to case. 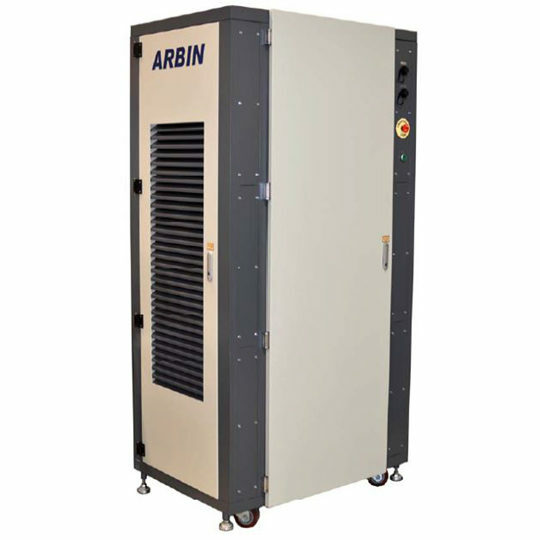 Environmental: Complies with MIL-T-28800, Class 5 for shock, vibration, transit drop, humidity to 90%, R.H. non-condensing; temperature 0 to +50° C operating(+ 10°C to +40°C full specifications) and -40°C to + 75°C storage; altitude 3000 m operating with storage to 15,000 m; fungus resistant; EMI protected.